Winter time shouldn’t be a season you spend indoors, with the right tactics and gear you can stay warm and scratch your fly fishing itch year round. With winter comes freezing temps, which lead to frozen or iced up guides. Luckily for you, there are a few simple, tried and true ways to prevent ice from forming and taking precious time on the water away from you. One easy way to prevent iced-up guides is to coat them with a hydrophobic (read: sheds water) coating so water won’t even have the chance to form into ice on your guides. 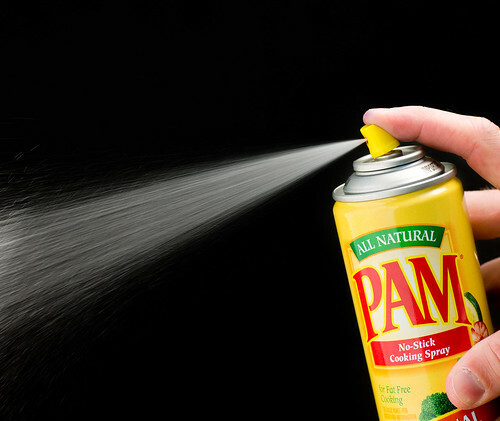 The easiest (and cheapest) way to do this is to spray down your guides with PAM cooking spray. Designed to prevent anything from sticking to cookware, PAM is perfect for coating rod guides. We recommend laying your rod out on top of paper towels and spraying a few coats of the spray onto the guides allowing time to dry in between. If you want to go the way of a purpose designed, de-icing product, look no further than Loon’s Ice Off Paste. This stuff is easy to apply and even comes with a nice little loop to attach it to your fishing gear. The paste is formulated to be fully safe for the environment and is proven in temperatures well below 0, for all you really crazy winter anglers. An easy alternative if you don’t have the Loon paste handy is Chapstick or Vaseline. These products work perfectly as a coating for guides, simply goop some onto your fingers and apply them to your guides as needed throughout your fishing day. And as an added bonus, you won’t have to worry about chapped lips on the water.